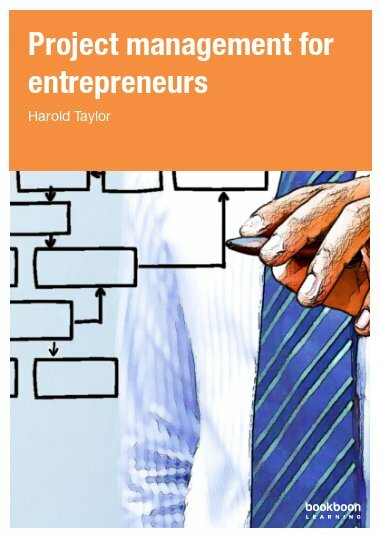 In this practical book, time management authority and entrepreneur Harold Taylor will take you through a simplified five-step project management process using forms he has developed for this purpose. Most problems occur due to inadequate planning. One item overlooked, one forgotten task, one missed deadline or one miscommunication with a supplier could spell disaster for your project. 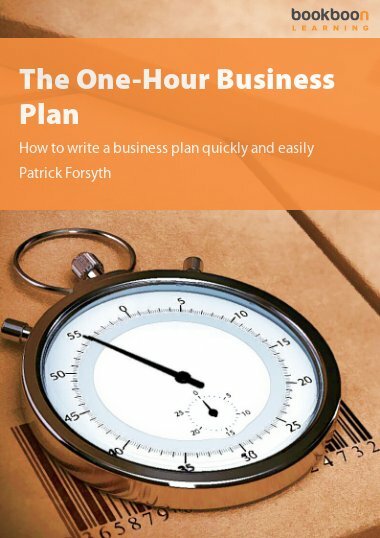 Whether you are organizing a workshop or meeting, self-publishing a book, developing a new product or organizing an office or a home, Time management for entrepreneurs will help you eliminate errors, reduce costs, and deliver your project on time and within budget. For most of my life I have been avoiding project management books like the plague. 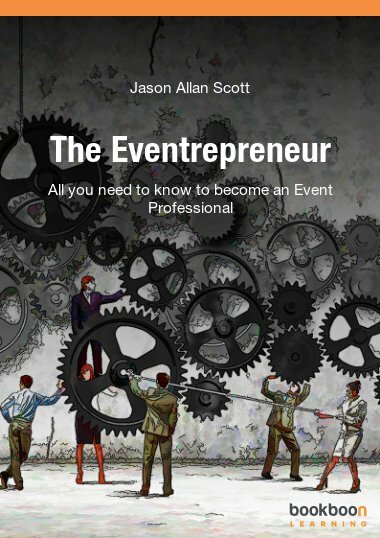 I was so turned off by the jargon and seeming complexity of the process that I couldn’t see the relevance of project management for an entrepreneur such as myself working on small projects. What in the world is project diagnostic metrics for instance? And who ever heard of integrated change control, project infrastructure planning or earned value management? I couldn’t seem to get past the plan variance analysis or project baseline setting. Deliverables, resource setting and activity definition all seemed like a foreign language to me. But I also knew I needed a more formalized planning process when I tackled tasks such as publishing a book, developing a product or designing and delivering a workshop. A simple brainstorming process where I would jot down all the things I needed to do, and then do them simply wasn’t cutting it. I would forget something, misjudge the total cost, start a certain task too late or underestimate how long the total project would take. So I developed a simplified project management process for entrepreneurs that worked well for all the projects that I tackled during the years. In fact I used the process to develop a project management kit, which I call the Taylor Project Manager. Who needs more jargon, fancy words and complexity in their life? The most important benefit for me is that it forces me to spend adequate time planning a project before rushing ahead with it. After considering the cost, time and effort required, I decided not to proceed with many of my hair-brained schemes. Other projects have been less expensive, less time-consuming and more profitable because of it. And when you’re called a “professional organizer” or “professional speaker” or a “time management expert,” your reputation and ultimately your success depends upon consistently completing client projects on time and consistent with their expectations. 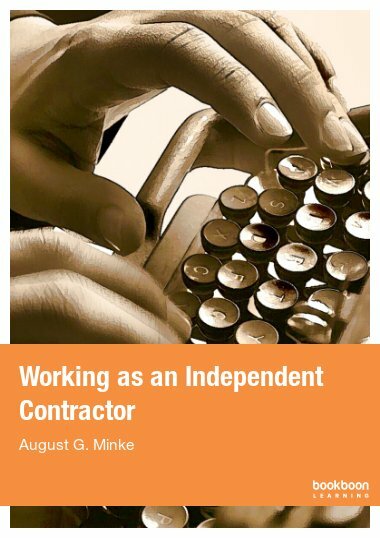 In this brief book on Project management for entrepreneurs I describe a simple project management system that works well for small organizations. 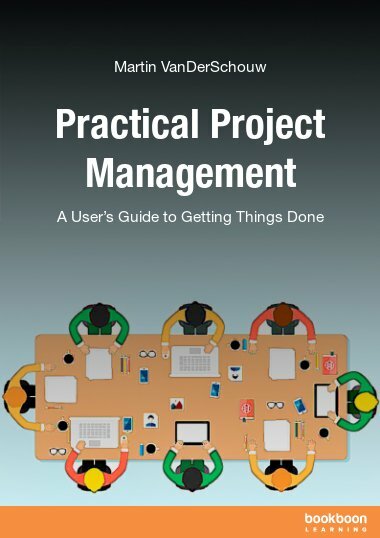 I have also included a few of the relevant topics that are included in other books on project management, such as leadership, communication and delegation. But I have limited discussion to information that is applicable to a small, one-person organization or one with only a few employees. Entrepreneurs are generally busy people who read for results, and want to get to the bottom line quickly. Forget the frills. So I have kept the secondary, yet relevant information in separate chapters near the back of the book. 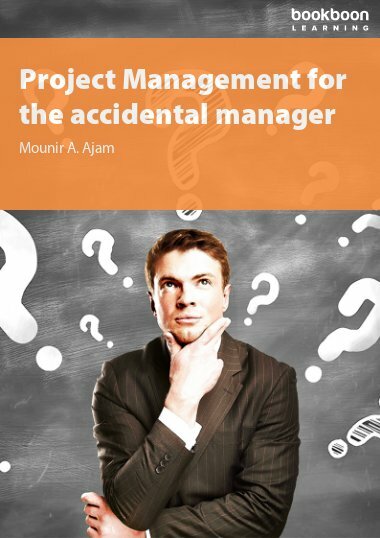 Most of the essential information on project management is up front, in the first few chapters. So if you only have time to read half the book, at least you will get seventy percent of the most relevant information. When is a task a project? 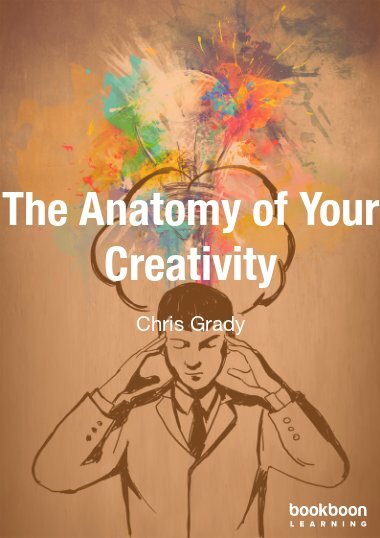 Incredible mind preparation for big projects with constraints and strategical competition insight on how to beat a competition and effectively deliver to clients. Really good for performance appraisals in all kinds of entrepreneurship businesses.